As individual charities, we each understand the need to explain to the wider world the value, importance and impact of our work. Much of our external communication is bound up in that. But we’ve done very little as a sector to communicate the cumulative effect of our collective effort. We haven’t done enough together to emphasise the deep-rooted and often unsung contribution that charities large, medium and small make to the individual, the street, the community, the region, the nation and the world. In good times, that’s not been much of an issue. People tend to support charities for personal reasons – through direct connection with a cause, or contact through friends and family. They have little understanding about – or, indeed, interest in – the wider charity sector. It’s when things go wrong that this becomes a problem. Recent times have seen a marked increase in the level of public, political and media scrutiny of charities. The focus has been far less on the good work done by any individual charity and more on how charities as a whole are seen to operate. And while it’s right that charities are transparent and held to account, it’s vital that a small number of high-profile incidents, negative stories and individual cases don’t tarnish the public’s sense of the value of charities as a whole, disproportionately damaging our worth and ability to function. To address this, CharityComms has partnered with the charity and social leaders’ network ACEVO, the Institute of Fundraising and CAF, the Charities Aid Foundation, to produce fresh analysis of the collective impact of charities across the UK. 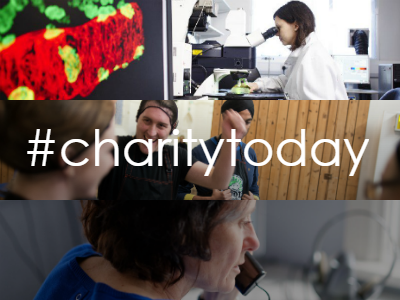 We’ve joined forces with many individual charities to publish Charity Today 2017, a report which explores many of the challenges facing the sector. It highlights the huge role charities play in almost every aspect of our daily lives. This ranges from the £500,000 spent every hour by medical research, hospital and rehabilitation charities to the £11 million housing charities and associations spend every day keeping a roof over people’s heads to the 800 cats rescued every week by animal welfare charities. Of course, the report doesn’t even begin to cover the full extent of the work done by all the thousands of charities and other social organisations across the country. That is literally incalculable. But it does provide a snapshot of the contribution charities make to public, as well as giving an insight into how they operate and how they’re changing. ACEVO has spearheaded a drive to engage the BBC with a day looking at the work of charities nationally and regionally – scheduled for 9 February. As any comms person knows, the media can be a fickle friend, driven by external events and internal priorities that no organisation working with it can predict or control. At the time of writing, we don’t know the extent of the coverage the BBC will be devoting to charities on 9 February, although we do know that Evan Davis’ The Bottom Line on BBC Radio 4 at 8.30pm will be focusing on the challenges of running a charity, including interviews with the British Heart Foundation and the RNLI. What we also know is that this is an unprecedented cross-sector collaboration to try and improve the public’s understanding of charities and their value. It’s part of ongoing attempts to work more collegiately to address the issues the sector is facing. As the former director of CharityComms, I thank ACEVO, CAF and the IoF for that collegiate commitment and appreciate the contribution of others who have leant their shoulder to the wheel. We hope this report and our media activity starts to normalise the discussion of charities and our work. Our ambition is to move away from the media’s traditional heroes-or-villains approach to charity stories towards a more fundamental recognition of the place of charities as an integral part of the fabric of our society.